The bad news just keeps coming in for Delaware Governor Jack Markell. He is now under investigation for possible campaign finance fraud involving the bundling of donations and kick backs. But even more telling about the Governor, and his party, the same party that controls both the legislative and the executive branches of Delaware government by the way, the Democrats, have been so focused on so-called social issues in this most recent legislative session, issues such as an unending number of gun bills intended to make law-abiding citizens into perceived criminals. Then we had the homosexual marriage bill, and the bill to allow cross dressing men to use the same public rest rooms as our wives and daughters. Along with the push to legalize marijuana. So while the Democrats have been addressing these important issues, what have they done to create jobs, or to bring Delaware back away from a possible double dip recession? Well some would say not a whole hell of a lot, others would say not anything that has worked. Delaware recently received a warning from Moody’s that we are the only state in the nation still in danger of slipping back into recession. Also Delaware’s unemployment rate has stagnated at around 7%, while that of the nation has been at least slowly reducing over the same time period. And even so, Gov. Markell insist that all is well, and that we are on the right track to recovery. Why, he has even taken his little dog and pony out for a tour of the state to speak with the people to reassure them that the kingdom is well. But let us look at some of the so-called successes of the Markell administration. The crown jewel of failure has to be Fisker Automotive company. Gov. Markell touted the deal with Fisker as the saving grace for Delaware in creating new high paying jobs for Delaware. The Governor believed this so much that he and his water boy Alan Levin decided to follow the lead of the federal government, and subsidized the foreign auto maker here in Delaware, heck tax payers were even paying the electric bill for the plant in New Castle County. But at least we got some good high paying jobs out of the deal. Oh no, that’s right we didn’t, in fact, Fisker has actually cut about three-quarters of its original hires. But those are some really sharp cars that were built-in Delaware. Oh! Wait, not a single car was ever built here. Now it has been announced that the federal Department of Energy will be auctioning off the balance on the loan it made to Fisker at a sizable loss, and guess what, the deal does not include any mandate that Delaware be reimbursed for any of the money we paid out. Good job Governor. I guess if the feds are bailing on the loan, then it is a pretty sure bet that Fisker is done, and Delaware tax payers will never see a penny of return on the twenty or so million that the Markell administration lined the pockets of some well to do Democrat donors. So what other gems has the governor dug up for the citizens of the state? Well there is Bloom Energy, this is the company that produces fuel cells, it is also the company that Gov. Markell and the legislature mandated that the rate payers of Delmarva Power subsidize with higher electric rates. Now there is talk of spreading the good news to all electric rate payer of all electric suppliers within the state. I have also heard that Bloom is refusing to allow anyone to see inside their plant, since it may be that they are not actually producing anything here. Of course Gov. Markell has overseen the largest expansion of state-run gambling in the state’s history. And with every expansion we are told the revenue will solve all of our fiscal problems, and they never do. A recent two-year revenue forecast from the Delaware Economic and Financial Advisory Council, has predicted that casino revenue will be down by around $25 million, while personal income taxes will rise by around 3.8 percent to about $136 billion. Gee! I wonder when the spending cuts start? Yeah right! The state of Delaware depends on the $200 million in casino revenue to balance its bloated budget, so where will the priest of voodoo come up with the short fall? Well if history is proof, he will seek to raise taxes and fees. But of course they will have a sunset clause, that will just be ignored. Another bright note is the news that corporate income taxes are also down by about $5 million for the budget year starting in July. But hey! The good news is that all of the money being spent to tell people to stop smoking seems to be working, because the cigarette taxes are also down, again lowering the projections. So as you can see, Gov. Markell and his minion have plenty of ideas to create jobs and to improve the state’s economy, it’s just that none of them seem to be any good. All we get are corporate welfare plans, mandates to force people to pay higher rates for electric, that is already one of their largest expenditures, and an unending expansion of gambling in the hopes that there will be enough people foolish enough to part with their hard-earned money, enough to prop up the top-heavy, bloated government. But hey! Gov. Markell, don’t worry about creating jobs by focusing on helping the local small business people, you know by finding ways to lower their energy cost, or removing some of the regulations and start-up fees, you just keep throwing our hard-earned tax dollars at those foreign companies that end up living high on our dime and then leaving us high and dry. And while you’ re at it, why don’t you expand gambling one more time to see if you can rob some hard-working lug of his paycheck. 8 Comments on "Markell’s Voodoo Economics"
We should all feel proud that Jack Markell is using the people of Delaware as his personal stepping stone for accreditation by interests outside our state. And that’s only part of his story. The list goes on and on. The bad news for Delawareans keeps appearing on the front page – with a liberal dose of spin, of course. Stepping stones are one thing; people who knew Delaware as a gem, see Delaware sinking like a rock. Tuxamus Maximus thinks this was a pretty good post as well. Tuxamus Maximus wishes all a great weekend with hope that more positive thinking starts soon. Lots of amateur economists write things that don’t see past the micro level and writing an opus hoping to educate isn’t going to happen from the House of Tuxamus Maximus. Why bother? Best to all and thanks to Angus (WC) for keeping it brief earlier this week and only one visit. Vigilance remains constant from the House of Tuxamus Maximus just not much to write about of interest! I commend you on your last two articles, pointing out the failures of this administration. It takes me back to the days when Tom Carper first gave us Ruth Ann as Delaware’s Lt Gov. while Mr. Carper was running for Governor. I recall those campaign days long gone by, of promises Mr. Carper gave to the labor unions and the auto workers unions to save the economy and bring jobs to Delaware. What ultimately happened? Today GM is no longer in Delaware, as with Chrysler. all those Good paying jobs gone. Just as Fisker, and just like the Fishing Industry that once provided Delaware with an abundance of jobs and revenue for the state and federal government. Not forgetting Mr. Carpers promises to the construction workers and their unions when the Bill Roth Bridge was built, where the contract went to an offshore company from Italy, that was based in Miami, FL instead of employing Delaware’s laid off construction workers they brought workers to Delaware.. It was such an outrage that caused the labor and construction companies to protest at the job site. . According to N.O.A.A. and US Dept of Commerce reports in 2012 Delaware was last for job impacts in this industry. Delaware is also last in producing revenue in this industry, that includes food service, tourism, recreation and commercial fishing, as well as manufacturing.and more. In 2006 Mr. Carper was contacted about an idea that began in NYC three years prior, that since that time has proven to be a huge success for the states education system, the environment and economy . However it seems our brightest and best has yet to prove little more than complete failure in the duties they were elected to accomplish. Saving the economy by Saving the Delaware Bay. And this was a part of my plans when I was seeking the office of Delaware’s only seat in the U.S. House of Representatives. Delaware has a long list of failures in high office. The Education Governor- Carper, the GED Governor- Minner and now the business Governor-Markell. 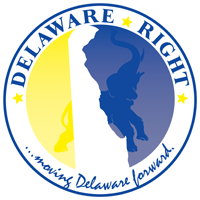 Delaware is rotting fro within with poor schools, low student achievement, lousy roads and infrastructure, well kept in bred corruption and a has been economy. Perhaps if there was or had been a functioning GOP with real leadership things would be different. So many times candidates for public office point out problems within either the state or federal government, while offering vague, or no suggestions how they plan to correct problems faced in Delaware or our nation. It is time for more transparency – knowing the candidates to begin. Recently, the Delaware General Assembly decdied to create a “Blue Collar Task Force” that will be focused on ‘creating middle-income jobs in Delaware’. On Mondy Sept 23 from 5PM to 8PM the public is invted to attend one of the meetings the newly formed 22 member task force will hold at the Chase Center in Wilmington DE. I have prepared some strategies to be proposed at this task force meeting. The Fishing Industry includes manufacturing food service, hospitality, tourism and recreation- defined by the Food and Agriculture Organization of the United Nations as including recreational, subsistence and commercial fishing, harvesting, processing, and marketing sectors. The commercial activity in this industry is delivery of fish and other seafood products for human consumption or as input factors in other industrial processes. Directly or indirectly, this industry also includes boat and ship manufacturing, electronic technology, and a plethora of other careers within the the maritime and fishing industry. Delaware has raised the least amount of revenue from the fishing industry, while the Delaware Estuary is listed by DNREC as one of the largest estuaries on the east coast. The Delaware Estuary is also reported by DNREC having high concentrations of toxins like PCB’s Dioxon and oher carcinogens, whereas fish consumption warnings are in place in all of our states tributaries and watersheds. Delaware ranks 48th in education. New Castle County ranked 1st in dropouts in Delaware (2011-2012 Delaware Dept of Ed summary) Brandywine HS having nearly 6% of its students dropout and Glasgow HS having nearly 11 percent of its students dropout that same school year. M.J.Moyer led with over 28% of its students dropping out of school last year. Our state is leading the way it seems- one of the worst place to live in the nation. The Dropout levels in Delaware can be linked directly as with indirectly to the unemployment levels in Delaware, that includes underemployed and our states broader number of people classified as living in poverty. Recently, I posted a note on my facebook page discussing the education system in Delaware and the most recent summary on dropout rates in Delaware, from the DE DOE. The good news is, since 2006 there has been a reduction in dropout rates in Delaware from 5.5% to 3.7% in 2010-2011. However we are now witnessing an increase in dropouts that went from 3.7% in 2010-2011 to nearly 4 percent the following school year. To continue reducing the number of dropouts that increased nearly a half perecntage point in just one school year a review of where more attention is required is needed , and finding strategies that have a proven record for decreasing the dropout levels, while also improving SAT scores and possibly providing career opportunities for graduating students on a global scale. I believe there is an immediate need for a unique school in Delaware that focuses on providing this needed attention to those students in the most vulnerable areas where the highest dropout rates are occuring in Delaware, to further reduce the number of students who drop out of school in Delaware. The highest percentage of students (82.4%) to dropout were in the age group of 17 years of age and up. the highest two grades students are vulnerable to drop out are 9th grade (36.4%), and 10th grade dropouts (28.0%) . New Castle County experienced student dropout rates from its school districts just under 67% of the total number of drop outs in the entire state (3.9%). New Castle County had 4.5% of its nearly 23,000 students drop out of school in 2012. Kent County had just over 3% of its total number of students (8,683) drop out of school placing the total percentage according to county by county dropout percentages much lower than New Castle County, but still relatively high when consideration for the student population ratios of the Kent County School Districts vs New Castle County School districts. Where there is a 2.6;1 margin of student populations but only a 1.2 percent difference in the number of drop outs. In New Castle County School districts the highest percentages of drop outs occurred at M.J. Moyer Academy with over 28% of its 102 students dropping out of school. The second highest was Christiana with 365 students dropping out, resulting in the school district having 9.3% the 3,929 students quit and not return back to school. Colonial School District, experienced 105 of its 2,035 students drop out of school, resulting with over 5 percent of its students who dropped out. The second highest school district in Kent County is Milford with 4.9 % three year average- in 2012 alone their dropout rate was nearly 4% percent . In Sussex County there are 7,444 students who were enrolled in all of that county’s school districts with 216 dropping out placing Sussex County with the lowest number of drop outs and with a 3:1 margin in student population compared to New Castle County it has over 4 percent difference in the number of drop outs. From the analysis provided by Delaware Department Of Education Drop out Studies , it is evident finding ways to reduce the drop out percentages needs to be focused on, primarily in the two counties and in two categories Special Ed Students most impacted- from Kent County and Regular education students in New Castle County who are mostly African American or Caucasian. Though this does not exclude Hispanics who also have a very high dropout level in proportion to the population of each of the two counties. It also is evident the primary focus needs to be on 9th and 10th grade students, with needs for focusing on the 11th and 12th grades in both counties also having experienced high students dropout rates. These are the students Delaware Bay Oyster Replenishment, and myself believe can benefit from Delaware’s first maritime high school Delaware Bay Maritime School. It will be proposed the school be located in a central location- giving opportunities to students requiring more attention, in both New Castle County and Kent County, where the highest percentages of student dropouts occur, who require more attention in order to reduce the States dropout percentages- which are highest in Kent County and New Castle County school districts; (Milford Dover and Caesar Rodney in Kent County. Christina Glasgow and Newark in New Castle County ) . A busing system would need to be established from these six high school locations in Kent and New Castle County to DBMS consisting of a having 6 buses available to transport a minimum of 88 students from New Castle County, leaving Christiana High School Glasgow, and Newark High School. with another 88 students who would be selected to attend the maritime school and picked up at Milford High School Dover High School and Caesar Rodney High School – transported to a location within a 35 miles of the two farthest schools with the largest percentages of student dropouts. Logistically, that central location would be somewhere along the Kent and New Castle County border- between Smyrna and Townsend. The schools location would also be required to be located near the coastline of the Delaware Bay/River. I suppose Mike is familiar with long lists of failures…..
Protack is the best the Republicans have had to offer since Pete Dupont disappeared. Those who disagree have not watched Mike debate John Carney and Jack Markell… I’ve just looked over the tapes recently to shine the light on Markell’s shift on education, and even now, am amazed that the Republican powers -that-be preferred to run a highly damaged Copeland and Lee in 2007-8, instead of the most qualified. When Mike is himself, he is still the Republican’s best candidate, because he relates to real people who vote. When he is mouthing other’s philosophy, like them, he goes South way over their heads. ← Now He Wants To Talk About The Economy!